Compared to last week’s E-Mini S&P lackluster volatility, this week is shaping up to be much more profitable. The stagnation of summer may in fact be over. There’s no better time to use the Atlas Line™. From October through the spring, the E-Mini S&P futures market is considerably more volatile than any other part of the year. This means profits. 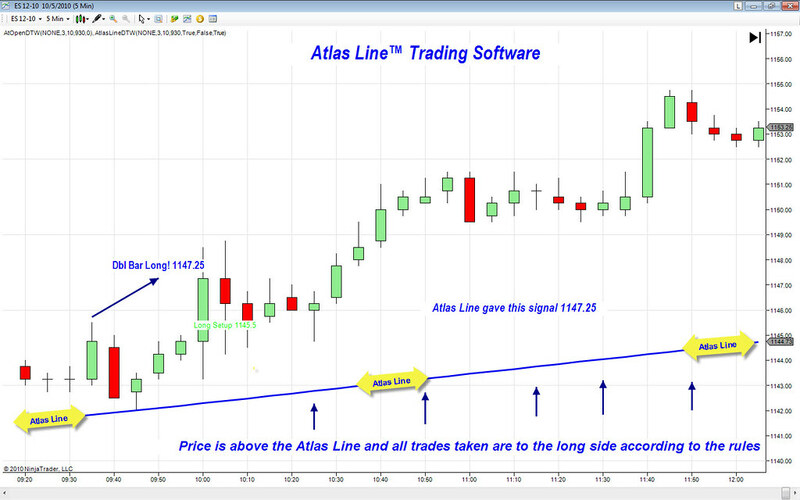 For example, the above NinjaTrader chart shows a long entry signal (produced by the Atlas Line™) at 10:00 a.m. In addition to this advisement, the Atlas Line’s line was plotted below price, indicating that long trades should be taken. This one-two confirmation combo is deadly and can really improve your trading. Find out more by visiting the Atlas Line page. 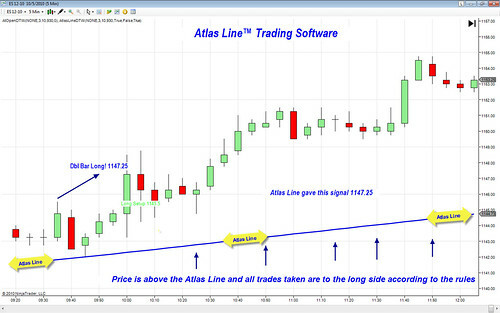 John Paul has extended the 10% off Atlas Line™ discount until October 31, 2010 for people who like the DayTradeToWin page. Im just curious,,, How has the Atlas Line done this week? Ya you guys are right. Summer months are when traders either take a break or are careful. Ranges are slower and even smaller than during the winter… You have to either know what you’re doing by using the right tools, or avoid trading at all. I preserve my capital when the summer starts and do minimal trading. Bye what I’ve seen the Atlas Line could be a great tool to trade with but still be careful. know what you mean francis… the core summer months are the least fav part of trading for me and i have 3 methods that i use just for that time period to help me determine the market trend and the right trades to take. atlas line is one of those methods that i use and i don’t know what i would do w/o it. this summer was poor for me in trading, i’m defintely interested in using the atlas method to improve my day trading on the emini.